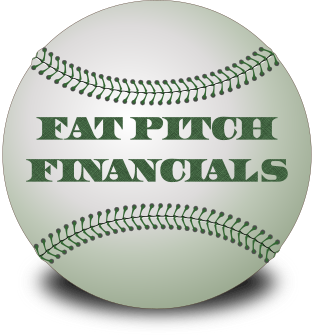 I just finished drawing a new logo for Fat Pitch Financials. I wanted it to be both baseball inspired and finance themed. I settled on using the shape of a baseball, the green colors of finance, and a money inspired font. At first blush, I am pretty happy with the outcome. The true test will be what my readers think of this new brand look. Do you like this new Fat Pitch Financials baseball shaped logo? I’d love to get your feedback in the comments section below. As a value investor and a huge baseball fan: I LOVE IT! Great choice! Thanks for the feedback, Ken. I’m happy to hear that you love it.